"Showplace on the green! Best of Lakeside Golf Club! Flawless 2-story contemporary, remodeled & polished to perfection! Impressive stacked stone entry to breathtaking foyer with stunning stairway and sightlines to living, dining & family rooms. Limestone floors, walls of glass & remote-controlled shades that flood home with light and open to private gardens, pool & spa for effortless indoor/outdoor entertaining. Love to cook? Designer kitchen offers two Sub-Zeros, Viking gas cooktop, wall ovens, "
"Stunning private Tuscan Villa behind gates and a long private drive. Recently redone w/ over 8000 square feet of beautiful scale and design. 2 story entry with sweeping staircase, grand living room with high ceilings and fireplace, huge kitchen family room with fireplace opens to outdoor living room with fireplace overlooking pool lawns and imported olive trees. Beautiful master suite with large sitting room, fireplace, large terrance, bath with imported stone and major double closet dressing ro"
"Welcome to the historic Klump Estate! Come pass through the gated front and into the magnificent home with hardwood floors and elegant detail that surrounds you. Walk into the grand living room where you will see one of four fireplaces with gorgeous authentic CALCO tile. From there you will walk into the kitchen with the Sub-Zero refrigerator, Wolf range, and more as you prepare your food on the Italian Grafita Marble counter tops. Like wine? How about a climate controlled 1,000 bottle wine cell"
"Romantic French Country Estate on one of Toluca Lakes' most exclusive streets. This elegant manor is a magnificent example of fine Old World craftsmanship. The breathtaking entry leads to an exquisite dining room & formal living room. The gourmet kitchen is equipped w/high-end appliances incl. 60 Viking range, Emerald granite & banquette. A media room houses a walk-in wine cellar. Work remotely in the library/office. Welcome a nanny or grandparents in the ground floor suite. The spacious family "
"Milestone Manor awaits you! Your home is your Castle. This one truly is. Home is appr. 3,500 sq. ft. including a finished 350+ sq. ft. basement, double wide driveway takes you to 1,200 sq. ft work shop/garage can handle up to 6 cars on approx. 1/3 of an acre. Solid Oak and River rock floors, extensive custom tile throughout, limestone arched wainscot, venetian hand plastered walls with 10 ft ceilings throughout, crown molding, double Queen Anne doors, office with built in Alder wood cabinets, ca"
"BOM, multiple offers the first week, another opportunity awaits! Nestled in a prime Toluca Lake, this masterfully restored & impeccably re-imagined custom home effortlessly blends old world charm with the desired floor plan & modern amenities of today. Every inch of this remodel has been scrutinized over by LA's most sought after design teams, offering a level of customization you will not find in typical remodels. Stunning expansive Master retreat has FP & spa style bath. Massive open eat-in ki"
"Gorgeous Toluca Lake tudor on tree-lined street with lush landscaping and stone paths that lead to the covered entrance. Most desirable Toluca Lake area - celebrity row! This house boasts an elegant formal living room featuring high beamed ceilings and a fireplace. The family room with stone fireplace opens to the formal dining room and the kitchen, perfect for entertaining. The gourmet Chef's kitchen features stone counters and Viking appliances. The master suite features a soaring two-story ca"
"This beautifully designed traditional home is pin worthy on Pinterest with five bedrooms, three full baths,two powder bathrooms, large living room, a spacious dining area that's open off the kitchen, possesses everything any one could ask for. 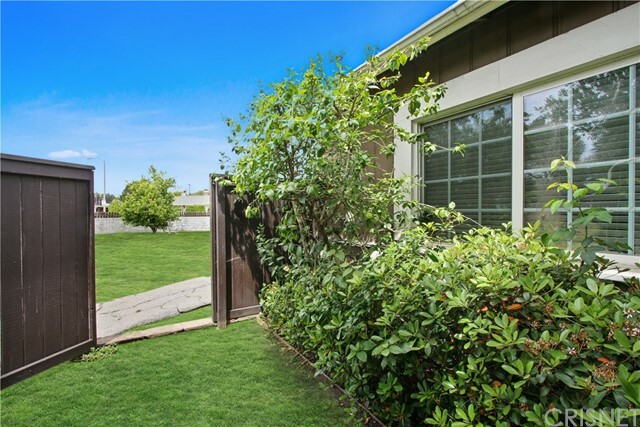 Situated on a large lot with lush hedges for privacy. An outdoor bar, fir-pit, Jacuzzi hot tub, and multiple areas for seating make for the perfect place to throw that huge summer BBQ. 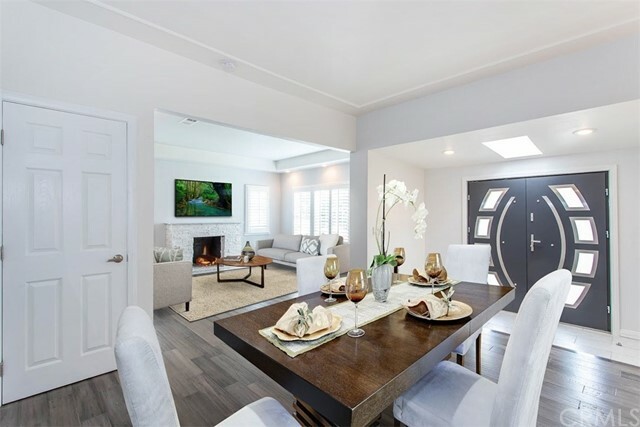 The property is nestled within the cherished Toluca Lake enclave and cl"
"Elegant living in Toluca Lake where trees line the street of this sought after area, made famous by celebrity residents. The footprint of this light-filled Mediterranean style home allows for effortless entertaining. Living spaces flow into one another including a lovely formal dining room, spacious living room with barrel wood-beamed ceiling and ornate fireplace, and large media room with large windows to show off the backyard oasis! 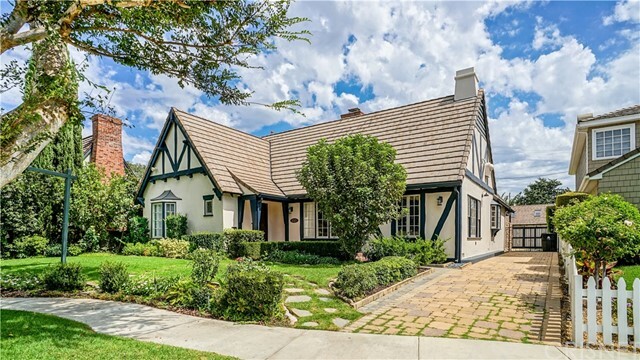 Charming details include hardwood floors, ceiling beams, arch"
"This fully renovated development at 4555 Willowcrest Avenue is situated on a corner lot, nestled in the heart of Toluca Lake. This home features a carport for convenience and guest accommodation. The main house has two bedrooms and two and a half bathrooms with a bonus area in the master bedroom, a dining and living area with a fireplace, and double steel entry doors with recessed lighting and bamboo treated wood floors throughout. The kitchen features Viking appliances which include a wine cool"
"Move right in to this entertainer's dream home on a sweeping corner lot in prime West Toluca! Warm up by the fire place in the open concept living room/dining room on your way to the MASSIVE chef's kitchen that is equipped with a 48 Jenn Air range, wine fridge and built in Miele espresso maker. Grab a drink and continue on to the back patio that has been the location of many phenomenal parties, with many more to come! 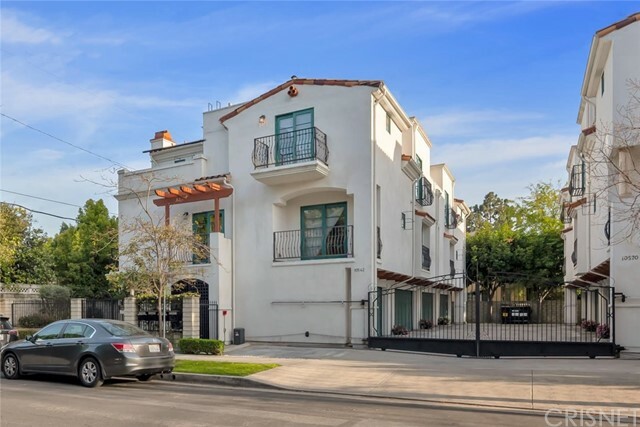 This home is studio close, seconds to Burbank, minutes to Hollywood, and a sto"
"Prime Toluca Lake Townhome with its own private direct access garage in 8 unit security gated complex. Spacious Living room features fireplace, wood flooring and doors that opens to a private enclosed lovely patio. The sunny cook s granite kitchen comes with stainless steel appliances, a breakfast bar and it opens to the dining & family areas. Enjoy the adjoining Juliette balcony with treetop views. 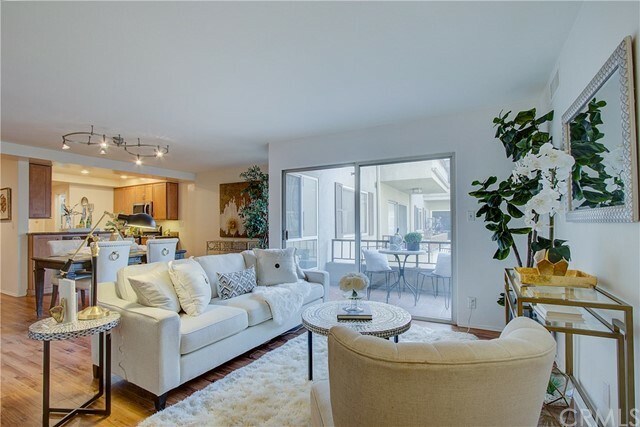 Elegant master retreat has a resort style bath with soaking tub, separate walk-in "
"Sunny and quiet 2 bedroom + loft, 2.75 bath condo in convenient Toluca Lake location. Three story front unit with only two shared walls, abundant natural light and a private rooftop patio. The living room on the 2nd story features stunning high ceilings, large windows, laminate floors and a gas fireplace. The adjacent dining area leads to the upgraded kitchen with stainless steel appliances and tile countertops. The bedrooms are located on the lower level and feature plantation shutters and lami"
"Top floor unit has 3 bedrooms and 2 bathrooms with view of Universal City and Mountains Washer Dryer hookups inside laundry room Cable tv water and hot water included in HOA Dues Building was remodeled in l995 with new copper plumbing and has central air conditioning and heating. Unit has extra large storage room next to the unit inside the building. Balcony off living room with new tiles and sealed. 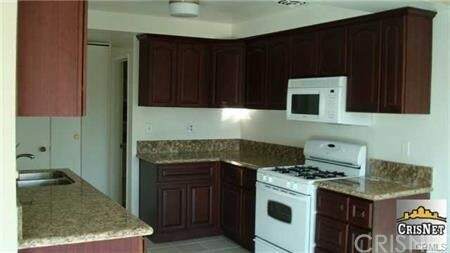 Kitchen is spacious with lots of cabinets and has a gas range with built in microwave. the kitch"
"Stunning top floor Toluca Lake penthouse in a beautiful mediterannean building with views of Universal City. Elegant curb appeal opens into a lovely courtyard with a tiered fountain surrounded by potted palms. Inside, guests are greeted by gleaming cherry hardwood floors, high ceilings, and a sophisticated living area with corner gas fireplace. 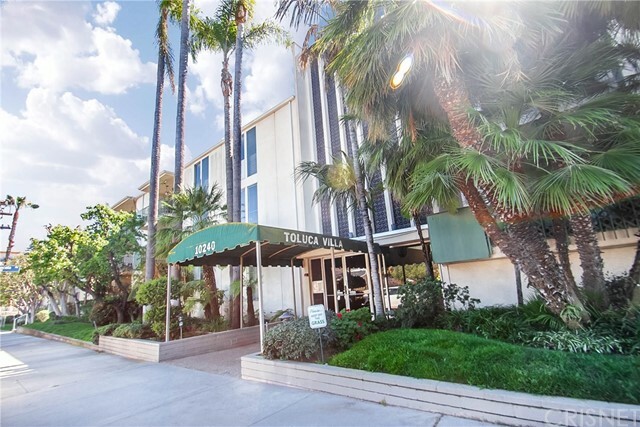 An open dining room enjoys a tray ceiling with chandelier, built-in buffet, and easy access to the gourmet kitchen with granite counters, rich wood cabin"
"Prime Toluca Lake area condo in a well maintained building. A fantastic floorplan accommodates this spacious, light and bright 2 bedroom, two bath corner unit, set on the interior of the complex, with only one shared wall - far from the hustle and bustle. Highlights include a large open living/dining area, updated kitchen with newer cabinetry, granite countertops plus a huge walk in pantry, and a beautiful built in wet bar/wine bar section. In unit laundry! Newer flooring. Charming balcony overl"
"Gorgeous, renovated 2 story townhouse style condo with a private, rooftop patio! Enjoy open concept living/dining area with a fireplace downstairs featuring a renovated kitchen with new cabinetry and granite countertops. The condo boasts many features including new flooring, energy efficient and sound reducing windows, central HVAC, in-unit laundry, Nest thermostat and Ring doorbell. The 2nd floor features 2 large master suites with ensuite bathrooms and large, walk-in closets. The stairs contin"
"If you're looking for a cozy building this is it! 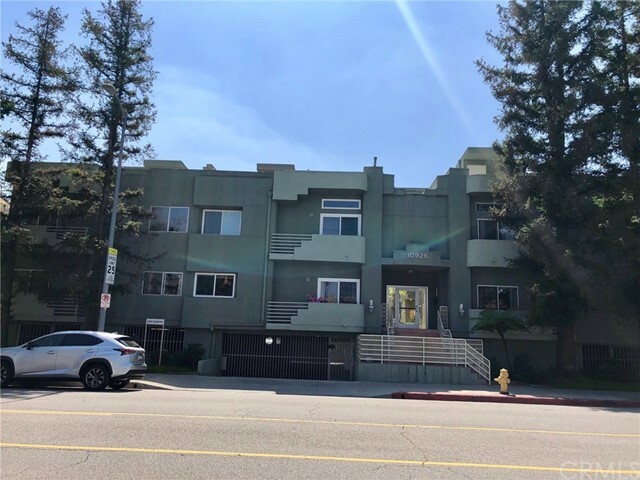 This beautiful Condo located in W. Toluca Lake offers spacious living room and a dining area, beautiful staircase will take you to good size bedrooms then to your own privet roof-top deck to entertain guests. Laundry is inside, walk in closets, laminate floors throughout the unit, all the windows were replaced last year. Entire unit was freshly painted in Feb. Low HOA dues. 2 car parking space in gated garage, pool, gym/ rec room, controlled acce"
"Located in Beautiful Toluca Lake at the Toluca Villas. Open Floor Plan, 1 large Bedroom, 1 Large Bathroom separate tub and shower. Large Living Area that leads out to a balcony where you have a view of Universal Studio's and incredible sunsets. Central Air & Heat. 1 Carport with Storage. Pet Friendly Quiet location - Only 1 COMMON WALL in a very quiet complex. Assoc. has a Pool, Spa, rec room, sauna and open courtyard. 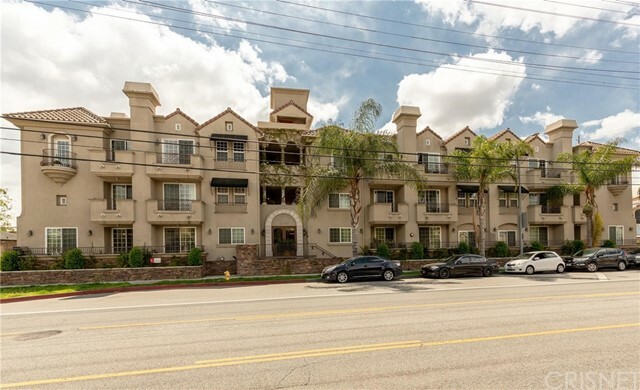 Complex close to Warner Bros. Studios, Disney Studios, shops, restaurants, Fa"
"In prestigious Toluca Lake just moments to major studios a delightful top floor condo - away from the street, all the way in the back. This adorable one level condo is facing an eastern exposure which brings in a lot of natural light and positive energy and yet, keeps the home cool and comfy. Beautifully done bathroom, spacious bedroom with a large walk-in closet. Kitchen was done and living room has eng. wood floors. Toluca Villas building has a POOL! This is an incredible loca"